There are many poker rooms that players can enjoy online, offering players more than one type of game. Some of the most popular poker games include Texas Hold ‘Em Poker, Omaha Hi-Lo, Caribbean Stud Poker, 7 Card Stud Poker, Stud 8 Poker and Omaha 8 or Better. As a result of our commitment to provide poker players with everything that they need in their online gambling journey, we created a list that contains the best online Poker rooms available in the USA. 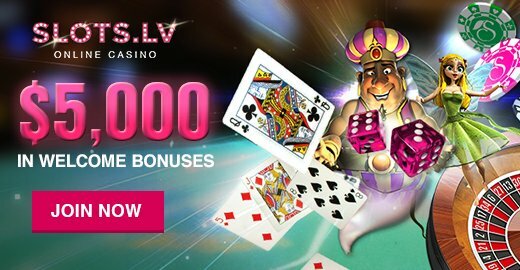 The list provides such data as the name of the casino, the welcome bonus, the payout rate and the rating. In the last column, players will find a review. The review will give players a deeper look into the poker room, its features and what it can offer. It discusses all of the aspects of the poker room so players can create a more detailed picture of the poker room before making a decision. These reviews are written by professional and experienced players who have many years of experience in the online gambling and online poker industry. What Does an Internet Poker Room Offer? There are many different kinds of poker games out there, and the number of online poker rooms is in the hundreds. These rooms allow you to play the most popular types of poker, like Texas Hold ‘Em, Omaha Hi/Lo and 5- and 7-Card Stud poker games. Within each of these poker types, you can also choose to play in a room that has a fixed limit, or one that is no limit. The latter of the two options may seem like the more popular and exciting option, but it can also be considered the more expensive one. People that have a strict budget for playing poker online are strongly encouraged to play in the fixed limit rooms. This way your poker stacks will last longer when you lose out even when you have a strong hand. In addition to having tables for casual play, these online poker rooms also hold many different types of tournaments, including freeroll ones, and ones that have some fantastic prizes. For those that are looking for fast-paced action, the sit n go rooms allow you to participate in a constant stream of poker goodness. There are also many poker rooms that have your participation count towards an ongoing jackpot. Just about every online casino has an area for poker games, so why should you choose a poker room instead of an online casino? The answer to this is actually a pretty simple one. If you are a person that only plays different kinds of poker games, why would you waste your time and money in a place that doesn’t benefit you in the best ways possible? Poker rooms have bonuses and jackpots just for those serious about playing poker or improving their poker skills. There are all different level rooms available on these sites, so you should never feel too intimidated by someone that claims to be a better player than you. You should be aware that the way to judge how successful a player is in a card room is not through their bankroll, but their playing style, particularly in a casual setting. You can always add more money to your account online, which often shows up right away as your chip stack. In a tournament, the amount in your overall bankroll is irrelevant, since everyone starts out with the same amount of money as the person that is sitting next to them. Poker rooms online vary greatly than the land ones as well. First off, they are more conveniently located and don’t require travel or hotel stay to access them. All you need to do is fire up your computer in your favorite internet accessible location and you’re good to go. If you are a non-smoker, you won’t have to worry about breathing in the smoke-filled air for hours, and then having to get that out of your clothes. You don’t even have to get dressed if you don’t want to since no one can see how you look when you are playing. Getting started in a poker room is really easy too. Just pick the one that you think fits you best, create an account, put some money in it and off you go! Some sites have free rooms to play in, which are perfect for those still learning the game or that are unsure of their abilities. Rakebacks are important to casinos, and really don’t affect the player too much. They are only really prevalent in poker rooms since the casino doesn’t earn any money off of a hand like they do in blackjack where the house actually participates. When you pay a buy-in to a tournament, the casino takes a percentage of all of the buy-ins, which is called a rake. Since there are usually a large number of tournaments going on, they can earn a substantial amount of money without really taking away from the player’s winnings. Another way a casino can make money is by taking a certain dollar amount, instead of a percentage. The only drawback to this is the amount doesn’t change, so if the pot is small, it will get even smaller, and may not be worth playing because of that. Players tend to want to win the big pots, not a bunch of small ones. VIP and loyalty programs are a great way to earn back some of the money that has been lost in rakes, and don’t require anything more from you as a player other than clicking a few buttons. While you may not see the rewards immediately, they will absolutely show up over time and are well worth the few minutes it took to sign up.